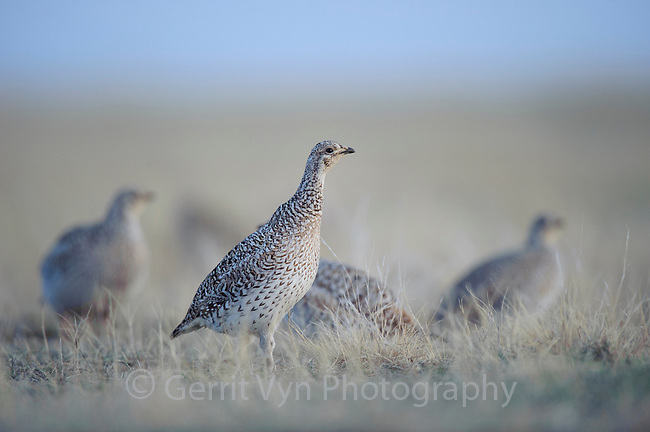 A group of female Sharp-tailed Grouse (Tympanuchus phasianellus) in the center of a lek. Ft. Pierre National Grassland, South Dakota. April.